Tenebrae’s ever-increasing discography has brought about collaborations with Signum, Decca Classics, Deutsche Grammophon, EMI Classics, LSO Live and Warner Classics. In 2012 Tenebrae were the first-ever ensemble to be multi-nominated in the same category for the BBC Music Magazine Awards, securing the accolade of ‘Best Choral Performance’ for the choir’s recording of Victoria’s Requiem Mass, 1605. The following year Tenebrae’s Fauré’s Requiem with the London Symphony Orchestra was nominated for the Gramophone Awards, having been described as “the very best Fauré Requiem on disc” (Gramophone Magazine) and “the English choral tradition at its zenith” (Richard Morrison, Chief Music Critic, The Times). In 2014 the choir’s recording of Russian Orthodox music, Russian Treasures, reached number 1 in the UK Specialist Classical Chart. 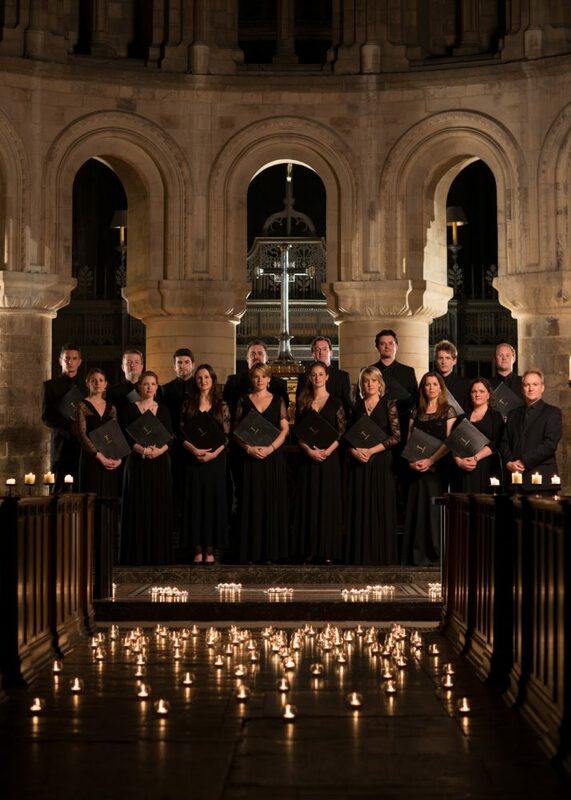 In 2016 Tenebrae received its second BBC Music Magazine Award for a recording of Brahms and Bruckner Motets, the profits from the sale of which benefit Macmillan Cancer Support. In 2018, Music of the Spheres, Tenebrae’s album of part songs from the British Isles, received a Grammy nomination and the choir presents a new release to champion the music of Ivor Gurney and his contemporaries featuring Dame Sarah Connolly, Aurora Orchestra and Simon Callow. For further information, please download our Electronic Press Kit. Promoters: please contact Tenebrae’s Management for official biographies.